2014 Reader’s Choice PIX Book of the Year. 2016 People’s Choice Award Winner – Book of the Year! Max Hawthorne was born in Brooklyn, NY. He attended Philadelphia’s University of the Arts, graduating with a degree in Film & Animation. 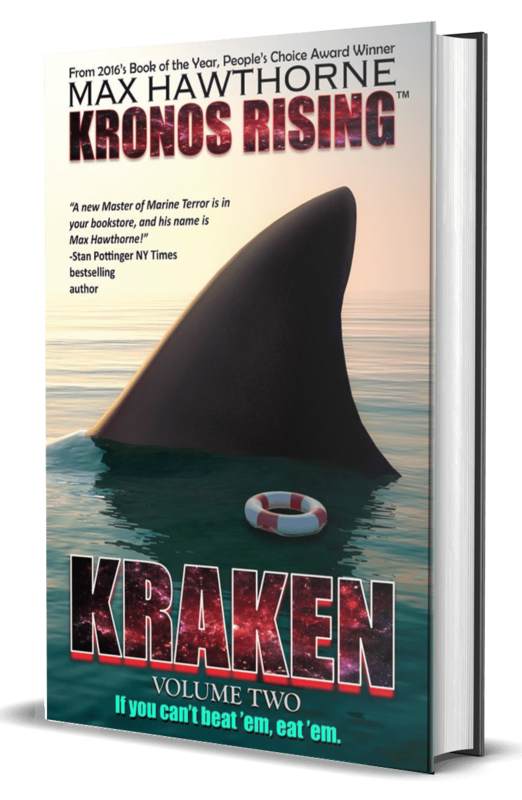 He is the author of the award-winning KRONOS RISING novel series as well as MEMOIRS OF A GYM RAT, an outrageous exposé of the health club industry. “Max…I’m in love with this book and all the characters!! 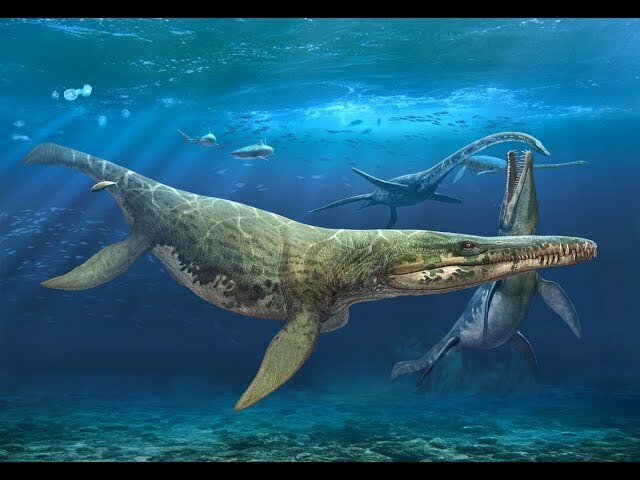 The Kronosaurus was my favorite as a child and you brought it to life in an amazing way!! Thanks so much!! "While stories of resurrected prehistoric monsters are well known in the big screen, when it comes to books, they are a niche topic. With Michael Crichton passing, Steve Alten, author of the popular Meg franchise, has enjoyed a monopoly since 1997. 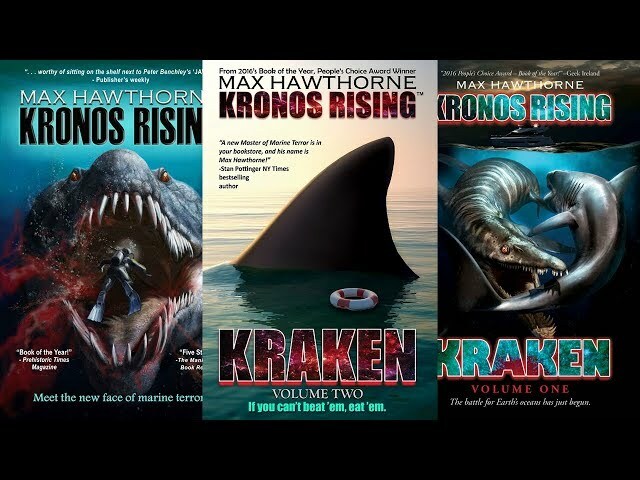 This changed in 2014 with the emergence of Max Hawthorne’s Kronos Rising, a gripping yarn about a hungry pliosaur terrorizing a coastal community. 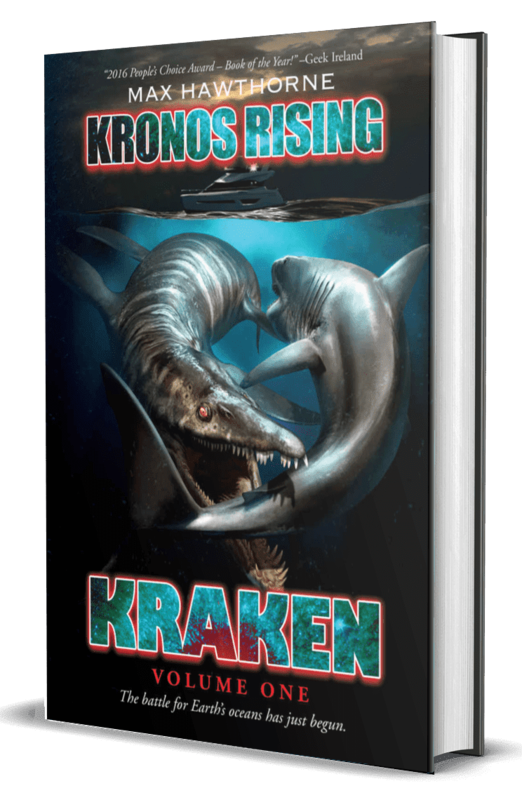 The success of Kronos Rising proved there’s plenty of room for at least two big ‘fish’ in the sea as far as crafting monster stories is concerned." “I love horror movies and books that deal with the ocean. 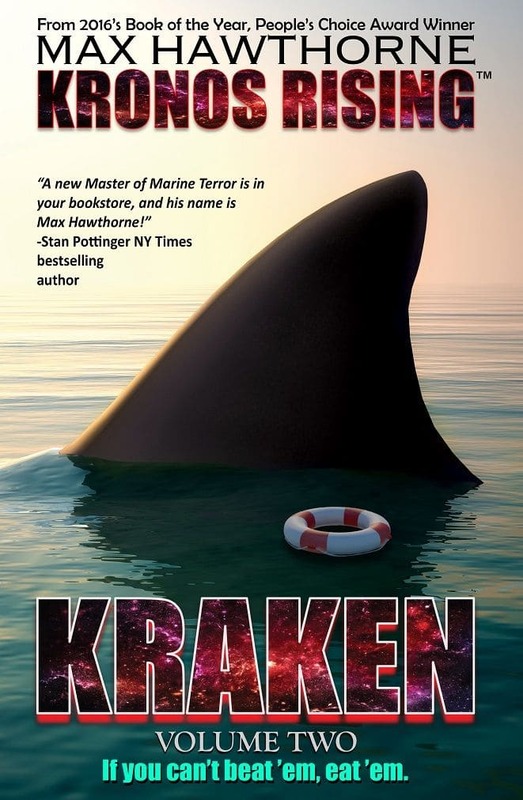 DEEPSTAR SIX, LEVIATHAN, and JAWS are some of my favorite horror flicks, while MEG by Steve Alten and DAGON by H. P. Lovecraft are two of my favorite written works. I’m very proud to add KRONOS RISING to that elite list of favorites. 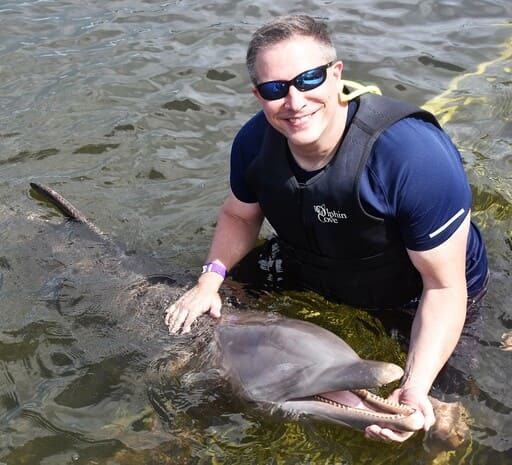 Author Max Hawthorne serves up bucketsful of horror in this terrifying tale, and I can guarantee it will keep people out of the water for a long time to come! 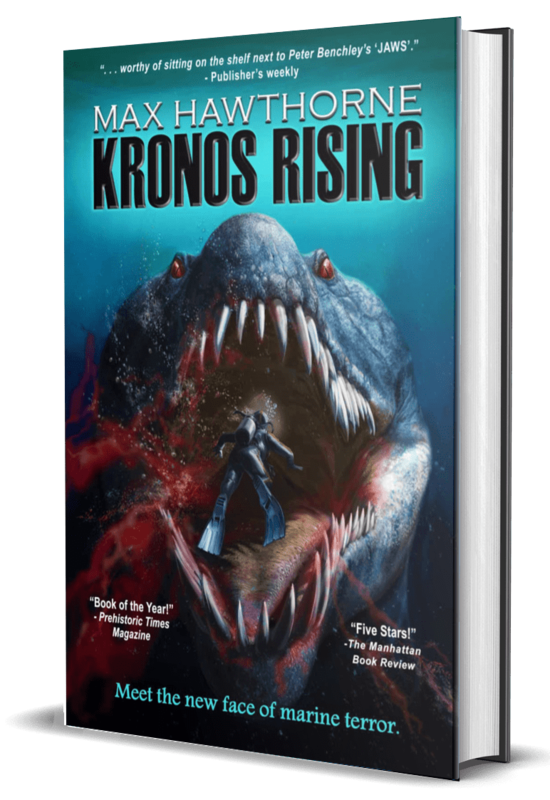 With heart-stopping intensity and insane action that will leave you begging for air, KRONOS RISING is a major win for me. I recommend this to anyone and everyone looking for a good read. Hawthorne is a major talent, and I cannot wait to see what he does next. 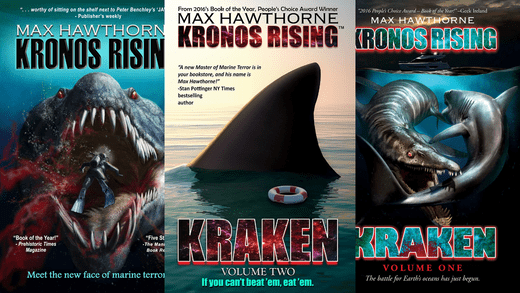 In the meantime, pick up a copy of KRONOS RISING today; you won’t be disappointed. Sign up for the latest news, release dates, signings & more.